I assume any American over the age of 40 with a pulse and a functional I.Q. knows the common narrative of Kennedy’s assassination, or at least in part. After 50 years, few subscribe to the Warren Commission’s version of events. Therefore, this comprehensive article is my good-faith effort, or matrix, to gauge what happened. This can be utilized to compare against any new developments or misdirection coming in the recent Kennedy CIA files release. One of the remarks one hears on these conspiracy practices is that “someone will talk.” The point is that many who talked were subject to being compromised or media blackouts. In the JFK coup death squads took out up to several hundred targets. Hits are standard procedure in high-impact conspiracy practices, and those smart enough to keep quiet made deathbed revelations or came forward when others involved were out of the picture. This is a statistical analysis of unnatural deaths of general population versus JFK witnesses. Cover ups were the norm. For example, this letter went from the CIA director to the Warren Commission investigators confirming Lee Harvey Oswald was in fact a CIA agent but remained undisclosed and classified until just recently. In the following video, Oswald makes direct eye contact with Jack Ruby in the seconds before he is killed. Although Oswald was part of the goons and spooks scene around the assassination, I tilt strongly toward the patsy theory. I definitely don’t believe he could have made successful shots at Kennedy with the deficient weapon involved. In the following video, expert marksman Jesse Ventura tests a weapon similar to Oswald’s. The latter was a Marine radio operator and involved in intelligence, not a rifleman or hit man. Jack Ruby aka Rubenstein is like a ghost in the night in this story. The man seemed to show up everywhere, always in the background. He clearly had the ability to gain access. I believe many of the Ruby sightings are true, because he was generally kept in the know. 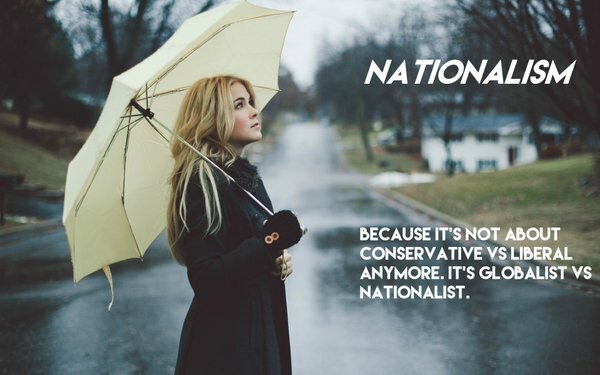 This is true of others as well. These truly strange individuals had a purpose, if called on, which Ruby (Jewish) was. One theory espoused by Michael Collins Piper is that Israeli interests also played a role given JFK’s attempts to prevent that country from developing nuclear weapons. Short of naming names, Ruby all but admitted to his nefarious, secretive role. The actual hit men were gangsters working for the organized crime boss of Chicago Sam Giancana, but they were also assets for the CIA doing contracts. Giancana did a lot of work with the CIA. Charles Nicoletti was Giancana’s best hitman, and James Files was the driver and bodyguard for Nicoletti. There is a jailhouse interview three decades later, in 1993, with James Sutton, aka “James Files,” who made the head shot. Yes, there are some slips, like saying he shot the left temple rather than the right and mispronouncing the name given the people of Laos as Latoatians, but keep in mind this comes from a older guy who has been sitting in prison much of his life. Perfect recall is also unlikely in an older man decades later, but the entire written account is also available in Food for the Jackals). Also notable are the two voice stress test analyses conducted on Files that averaged 78% truthfulness. The analyst in the next video grades Files even higher. There may be some exaggerations and falsehoods, such as meeting Oswald in Mesquite for weapons testing (really? but keep in mind there were Oswald doeppelganger stories), but overall his account feels 78% truthful to me. Files also said Ruby met them at a pancake house in Ft. Worth and handed off badges and the final route map. Holt admits to driving Nicoletti to Dallas from Arizona in an Oldsmobile station wagon. This car was spotted in the parking lot area above the grassy knoll by key witness Lee Bower, who was in the rail yard tower. Incidentally, Bower died in 1966 at the age of 41. His car left an empty road and struck a concrete bridge abutment near Midlothian, Texas. That grey haired man Bower described was likely Chauncey Holt- more on him later. Next, Bowers describes two men “standing on the high ground” just shortly before the president arrived. The time sequence is inexact, and the term “high ground” is a bit vague. I would have asked these important questions: How many minutes before the hit, and exactly where were these men standing? But the Warren Commission always struck me as just going through the motions. Still, the physical descriptions were accurate: Files was 21, Nicoletti 46. Mr. BALL – Now, were there any people standing on the high side — high ground between your tower and where Elm Street goes down under the underpass toward the mouth of the underpass? Mr. BOWERS – Directly in line, towards the mouth of the underpass, there were two men. One man, middle-aged, or slightly older, fairly heavy-set, in a white shirt, fairly dark trousers. Another younger man, about midtwenties, in either a plaid shirt or plaid coat or jacket. Mr. BALL – Were they standing together or standing separately? Mr. BOWERS – They were standing within 10 or 15 feet of each other and gave no appearance of being together, as far as I knew. Mr. BALL – In what direction were they facing? Mr. BOWERS – They were facing and looking up towards Main and Houston, and following the caravan as it came down. Mr. BALL – Were the two men there at the time? Mr. BOWERS – I — as far as I know, one of them was. The other I could not say. The darker dressed man was too hard to distinguish from the trees. The white shirt, yes; I think he was. Here, Files describes how after his shot, he reversed his jacket and then calmly walked to the side of the Dal-Tex building to meet with Nicoletti and Roselli. A shadowy figure walking this route was revealed in this photo as the motorcade sped off to Parkland. I believe Chauncey Holt and his cohorts were spotters and the “big event” crowd control (before and after). Holt specialty was “documentation” and “fake personas,” and some operatives had secret service badges. In the following video, witness Gordon Arnold — and I think exactly in the area of Files fatal shot — describes being shooed out of the parking lot by a man carrying a CIA badge, and then another phony operative takes film out of his camera after the shots. Eight days before he died, Holt spoke and actually choked up when talking about Oswald’s role as a patsy. When you follow these events as much as I have, you get a sense of who the credible people are — and I grade Holt and his death-bed confessions high on that account. Holt said he didn’t know exactly who pulled the trigger. In 1991, Holt made revealing statements in a Newsweek interview that gives clues as to how the strings on these conspiracy operations were pulled off. They were generally kept on a need-to-know basis and were not to ask questions and kept VERY COMPARTMENTALIZED. E. Howard Hunt of Watergate fame is frequently mentioned as a player. In a late-in-life confession, he describes the CIA’s role in the “Big Event” and his role as a bench warmer who had knowledge of a conspiracy but who did not participate directly. He was not one of the tramps as some have suggested. He is a little disjointed in his statement, but points to LBJ as culpable. The Actual Assassination Shots: Nicoletti and Rosselli set up in the Dal-Tex building, possibly in a second-floor utility room. The angle of the shot indicates it came from the Dal-Tex building, not the Book Depository, according to witness James Tague. Tague was nicked on the cheek by a concrete curb fragment from one of Nicoletti’s missed shots while standing down-range of the bullet. I believe Nicoletti missed with shot No. 1. Shot No. 2 from Nicoletti (and possibly Wallace) hit JFK in the back. JFK appears to be holding his throat but that is a reflex from the back shot. Shot No. 3, also by Nicoletti, hit Connolly. No “magic bullet” here. Then the task fell to Files, who followed with a head shot, meanwhile careful not to harm Jackie Kennedy. Nicoletti’s shot No. 4 hit the back of Kennedy’s head, while Files’ simultaneous shot No. 5 was an explosive mercury-loaded round from a Fireball that hit the temple. The small throat wound was likely a fragment from Files’ more explosive round. If Kennedy’s body is still available and the skull not scrubbed to the microscopic level, the mercury traces would still be there. That’s what Joe West was trying to prove before he suddenly died. There is also a fair possibility that LBJ’s hit man, Mac Wallace, took a shot from the 6th floor of the Texas Book Depository, where he also planted the Carcano. As far as two head shots, the autopsy evidence was badly tampered with, making modern CSI forensics very difficult. Plus, the round from the front was explosive, the one from the rear more standard. Nicoletti got off three or four quick rounds, which might suggest he had another shooter (Wallace) coordinating with him. There were a number of other contract killers milling around the area like some hitman convention, including of course Nicoletti’s accomplice, Roselli. Remembering the concept of plausible deniability, Files only states Nicoletti and Roselli were in the Dal-Tex and that he heard the shots from that direction and knows no further details. On March 27, 1977, Nicoletti himself was shot in the head three times while in his car, which was then set on fire. Sam Giancana and Roselli also died violent deaths before testifying before House committees regarding attempts on Fidel Castro’s life and the assassination of JFK. Giancana was found shot to death on July 19, 1975 — just five days prior to his scheduled appearance before the Church Committee. The body of Roselli was found in August of 1976, his legs sawed off and his torso stuffed in a 55-gallon oil drum. His last meeting was with one of the conspirators he named in the Kennedy assassination — Santos Trafficante. Trafficante worked directly with CIA Director Allen Dulles, Rosselli and Giancana in the CIA-Mafia attempts to kill Castro. The following computer-animated clip shows the position of the “Babuska Lady,” Beverly Oliver. Although her testimony has been “strangely” suppressed, Oliver had a perfect observation position. She states with certainty, as shown in the video below, that a shot and smoke came from the picket fence near the second tree from the right and from the top of the knoll. When you look at the turn in the fence, it is obvious how that location would obstruct the view from observers back up Elm. Of course, those who fail to grasp the tactics of the Deep State dismiss the idea that CIA agents would do that, even given other compelling evidence indicating a veritable spook-and-goon convention at Dealey Plaza. Given the failure to intimidate her, once again there seems to be a doth-protest-too-loudly attempt to discredit Oliver or to put words in her mouth. This is a commonly used tactic when someone breaks from the narrative, but Oliver seems to have none of it. Other witnesses supposedly claim she wasn’t there. Others say that the lady in the photo couldn’t be 17. There is another photo that I believe is faked showing an older lady in Bubushka garb crossing the street. In the photo above showing the “Bubushka Lady,” can you tell how old she is? I can’t. The overhead of Dealey Plaza shows how implausible the route was in terms of security and what a set up this was. First, as the video below shows, the Secret Service was pulled off of the motorcade. The procession then came down Main Street; but instead of continuing straight to the freeway ramp, it turned right down Houston, then made the sharp left turn onto Elm and into triangulation fire. This was a professional hit in every respect. I don’t think the killers took the shot at the Elm Street turn because, as Files stated, they were ordered to not hit bystanders and there was a large crowd present, which would mean too many witnesses and cameras. Observers were much more dispersed further down Elm. It is also worth noting that dozens of photos, considered professional and high quality for that era, were taken of Main Street. However, almost all of the photos and film of the assassination are grainy, poorer quality and taken by amateurs. I have dubbed this the Dealey Plaza effect, something constantly seen in the modern day staged deceptions. Reports indicate that Dallas Mayor Cabell changed the motorcade route to pass by the Dal-Tex building — and the grassy knoll. Cabell’s brother was CIA Deputy Director General Charles T. Cabell, who along with Dulles had been fired by JFK for playing a role in the disastrous Bay of Pigs excursion invasion of Cuba. The Dal-Tex building where Nicoletti and Rosselli were positioned is north of the Texas School Book Depository. The Dal-Tex is a slightly longer shot, but it is more angled down range and not obstructed by a tree. The building had a vacant office used by Hunt Oil. The billionaire Hunts were bitter foes of Kennedy, so the ease of access question raised by debunkers is not really valid. I subscribe to the coup d’etat theory on the Kennedy assassination. Today, it’s hardly an outside-the-box view. To any thinking person who looks at the literature, it really isn’t that controversial. Unfortunately, in 1963 we didn’t have the Internet for research. Today, at least half of the world is outfitted with photo- and video-enabled cell phones at the ready. Even so, today the mainstream media doesn’t want to rock the boat or dive into securing the documentation or heavy research on this topic. I think that the reason is because, at least in part, to do so would be an admission as to just how much of a banal, Banana Republic the United States has become. I think the coup was a co-conspiracy, or alliance, between Dulles and the muscle of American criminal cabal interests — of which the Mob is but one component. In my general view of how the American system works, the Mob is a bit of a red herring to draw attention away from the ruling hierarchy. That is consistent with the more high profile “conspiracy” efforts, like Oliver Stone’s movie “JFK.” The movie may have had some of the actors and particulars wrong, but he was spot on with the premise of a higher level coup. As far as the minions and goons to carry out the dirty work, they were carefully selected from the rolls of psychopaths within the Deep State apparatus. The talent was available then, as well as today. There are abundant pools of people, ranging from those no moral compass to abject killers, to carry out any mission, including serving in public offices, cover ups, scams and the compromises necessary to carry out Deep State cabal criminal agendas. The Dulles brothers served as both as Secretary of State and with the CIA during the Eisenhower years and built up the covert apparatus. The Deep State was totally out of control even then and could not be reigned in by the president, although Kennedy and his brother tried at the margins. There was also the corrupt and banal director of the FBI, J. Edgar Hoover. Although he probably wasn’t a direct plotter, he knew which side his toast was buttered, especially once the assassination succeeded and got heavy into cover-up mode. Ditto for LBJ. He was a puppet of the Deep State military-industrial apparatus. At the very minimum, he had foreknowledge. He was even seen ducking down in his vehicle on the first shot. 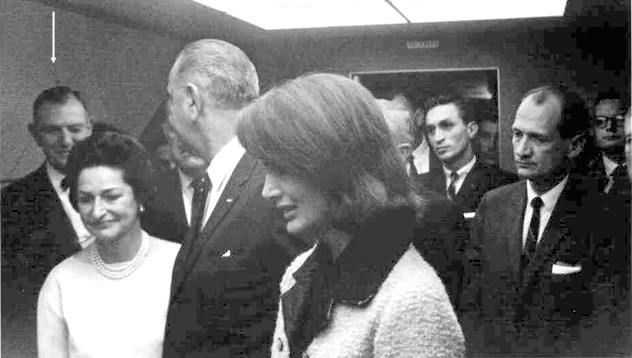 Note that in the photo to the right, taken just before the first shot, LBJ’s head is slumped below Lady Bird’s (in white) even though he is well over a foot taller than her. It has been revealed more recently that Jackie and Robert Kennedy thought LBJ was culpable. Kennedy’s prescient speech at the beginning of this post rang true in the despotic era of transnational corporations, with their legions of bankers, lawyers and private armies, backed by countless servants and contractors sworn to Deep State secrecy and enforced by psychopathic goons, assassins and operatives. I leave you with this classic speech from “JFK” the movie. Well said but seems now a lost cause. Don’t know if already posted, Bush Sr’s tie in to it all. Another angle on JFK comes from LA police figure Gary Wean, who wrote a book with another ‘JFK assassination bombshell’. “One of Gary’s closest friends was Audie Murphy, who was America’s most decorated soldier who became a Hollywood movie star. Murphy was from Texas, & Bill Decker, Dallas County’s sheriff, was his friend.” Decker, in turn knew Texas US Senator John Tower. In Wean’s account, after JFK was killed, Tower met with the above group & gave them details on how Lee Harvey Oswald was a US intel agent who thought he “was going to participate in a fake assassination attempt on John Kennedy” & frame Fidel Castro for it, an event which would secure approval from the surviving Kennedy for a full-scale Cuban invasion. But “something went horribly wrong … the fake assassination turned into a real one,” much to the shock of some in the scheme. There is a suggestion that Tippits role was as an autopsy body double for JFK. He bore a striking resemblance to JFK and was jokingly referred to as: JFK Tippit. Once Kennedy was shot from the front, the lone gun man theory would be harder to sell. The theory suggests Tippit was killed and a skilled mortician was used to switch bodies and alter the evidence aboard AF2 on the flight back to DC. As Jackie would not leave the casket’s side, bringing her up for the swearing in was a diversion to remove the body from AF1 to AF2. This scenario was verified by the wife of a highly skilled mortician who says her husband disappeared for several days during the Assassination and couldn’t talk about what he’d done. This is further corroborated by Jackie’s statement, upon viewing JFK’s body that “that’s not Jack”. And while this may be one of the more outlandish theories, in an operation of this magnitude certainly they would had discussed back up plans should the framing of Oswald not go as planned. I’m certain people were already in place back in DC to handle the autopsy and support the lone gunman narrative. Their dad was the first SEC director so their could be some truth among that. I’m still leaning towards a disagreement among thieves and the push for the Deep State/Industrial Complex to thrive under LBJ. Yes, that is a truly astonishing alternate perspective on the JFK assassination … Miles Mathis presents a fascinating, plausible scenario under which JFK was not killed at all in Dallas, it was a staged event (like many more recently) … and John Kennedy lived on and continued to direct the shadow government of the USA behind the scenes, where it has remained ever since. President Kennedy’s father was an owner of the Hollywood RKO Pictures movie studio, & JFK was quite connected to the film industry himself & a great ‘performer’. Original Dealey Plaza assassination photos / films have factors whereby they seem to have been shot at different times. The idea of outside shadow control of the US Presidency, also explains the strange fact of why there was a taping system in the White House that provided evidence in the CIA-military-fabricated ‘Watergate’ scandal under which US President Richard Nixon resigned in 1974 … the taping was there for the shadow government, rather than something that suspicious lawyer Nixon would have approved on his own. Thanks oodles for posting this. My mind is blown! Lately there has been much evidence to support the suspicion that most of these shoot out and truck ramming events are fakes. Nobody believes David Rockefeller is dead either and Brzezinski, Kissinger and many others appear to live forever. Jackie was probably greatly relieved to be out of the lie with the kids intact. Although sworn to secrecy for the rest of her life, on Onassis’ yacht, in the middle of the Mediterranean. What a way to go. DailyFail is already pushing the Russia is to blame narrative and no mention of Dulles brothers. I disagree in degree of knowledge LBJ had, he was far more involved than you described here. As a Texan we read into this stuff a little more about his involvement versus the larger criminal element. Reading LBJ’s history of having people offed in the Texas Hill Country to push his political career ties him as an early handler for the criminal muscle used in the job. Billie Sol Estes mentions meeting LBJ at the end of several meetings with other characters, Mac Wallace being one. Seeing no longer useful pawns being silenced, Estes got smart and kept his mouth shut for the most part and lived to the ripe age of 88 and died recently in his home near Dallas in 2013. I’ll find some material this weekend you can add to this as a supplement on the Military-Industrial end. There is speculation that LBJ had Jewish origins, but the case is circumstantial. Incredible his resemblance to Golda Meir, a mere curiosity. It’s not speculation, it’s fact. LBJ was Jewish. Like FDR, it wasn’t politic for him to admit it openly, but Jews all knew that both men were Jewish. Exactly. But JFK was not jewish. So he is not on some island screwing Marilyn Monroe. He’s dead johnnyszone!!! Johnnyszone likes to deflect from the Jew as often as he can. “It’s the Illuminati!” says johnnyzone. George Bush Sr. chortling over his “deluded gunman” reference.